Guys, if you look at the bottom right corner of your browser window you’ll se a button that says “Follow” with a plus symbol. Click on it and add your email so that you can get recent updates every time I add a new post. Peace! November 5 screening was a blast! The screening on Saturday, November 5 was a blast! 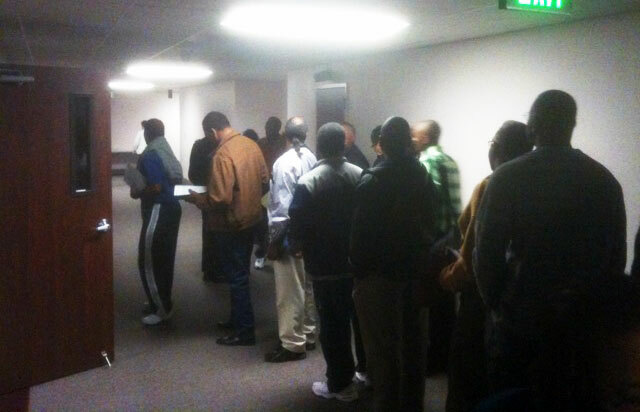 There were about 110 men who stayed to be screened. I had the best time sharing my experience and answering tons of questions from a lot of curious brothers. I was also able to hand out a lot of cards to further publicize my site. I really want to get more and more brothers to visit this site to get educated from someone who’s been down this road. This will hopefully encourage more guys to get screened and spread the word for others. I’ve provided a few pics from the event below. Please excuse the quality. Kind of dark inside the building for my cell phone. I also want to give some huge shout-outs. One to my pastor who provides this for the men of our congregation. He really cares about the men of our church – their physical well-being as well as their spiritual. The other to Methodist Hospital. They have the best screening program in the nation! I wish to mark today, November 5, 2011, as the official launch of the new broken to serve site! The designer in me wanted a new look as well as better functionality. So here it is. The main purpose is to offer ease of navigation for all visitors, especially men who want to know more about prostate cancer and how to deal with it from an actual survivor! For those who are already familiar, the old site is still up. There are still some posts on it that won’t make it here. I’ll leave it online for a while, but everything you need to know is on this one. What a privilege it is for me to be called a “survivor.” But I’m only a survivor by the sovereign grace of Almighty GOD! Stay tuned. Tomorrow, Saturday, November 5 at Oak Cliff Bible Fellowship, 1808 W. Camp Wisdom Road, Dallas, TX. 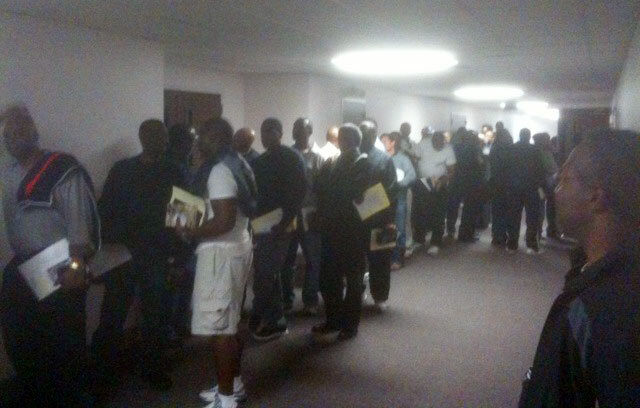 It all starts with the Men’s Breakfast and Fellowship at 7:30am (this event occurs every first Saturday). 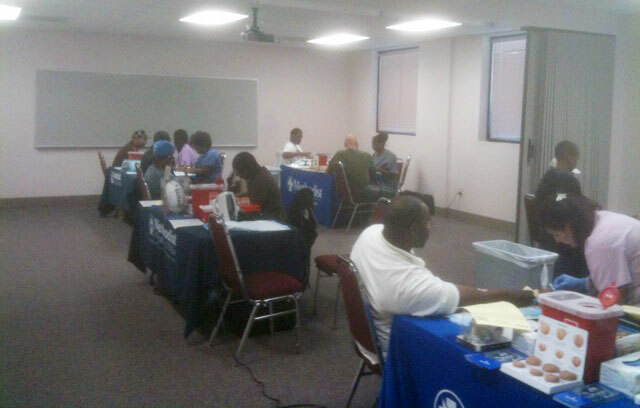 Then, Methodist Hospital nurses and physicians will be on-hand to check vitals and take blood samples for PSA testing. Sorry, brothers, there will be the dreaded digital rectal exam (DRE). But, hey, MAN UP! Endure a few seconds of discomfort to possibly avoid suffering for the rest of your life with the spread of prostate cancer simply because you won’t do anything about it! Again, brothers, this is F-R-E-E! No need to show your insurance card or pay for an office visit. This is a great ministry that is not to be ignored. There have been many other brothers like myself who have been diagnosed with early detection because of this event. I will be there at a table to talk about my experience and answer any questions. I live for this! Be a man and be there!!! It’s the month of MOVEMBER! Interesting concept. Grow your mo – raise some dough!